Google has a small update with the Instant App platform – the framework allows the Android app can run immediately without installation, convenient to play games or do light work such as booking a hotel, buying tours calendar and news reader. This update allows you to separate the source and image resources, depending on the screen resolution, CPU type and language, so that the speed of running Instant App will be faster than 10%. That means the user will start using the app sooner, reinforcing the immediate experience without having to install it. For example, when the Instant App is running on a low-resolution screen phone, running an ARM chip and is picking up English language, it will download only the data and code for this particular configuration, not the download. Used for high resolution displays, Intel chips, and the Vietnamese language. Some Instant App you can use: Periscope, Vimeo, NYT Crossword, OneFootball, Buzzfeed, Viki and Realtor. In the view of the user, the Instant App will work like this: you click on a link in the browser or in an ad, immediately you have a good Android app (not the web) to use without Need to wait for download from the Play Store. You can quickly book a room in the tourist area you like without waiting for the app, you can buy a discounted item or play a short game before deciding to buy it. wait for a minute When you feel like using the app regularly or like the app, you will download the full version of the app as normal. (10-2017) Old smartphone users can experience the features of the “super” by the app ancillary. If you are not financially secure, you can install the IObit Applock or Fabby application to bring top features to the iPhone X and some high-end smartphones to older smartphones. The highlight of the iPhone X is the ultra-thin screen border and face recognition (Face ID). 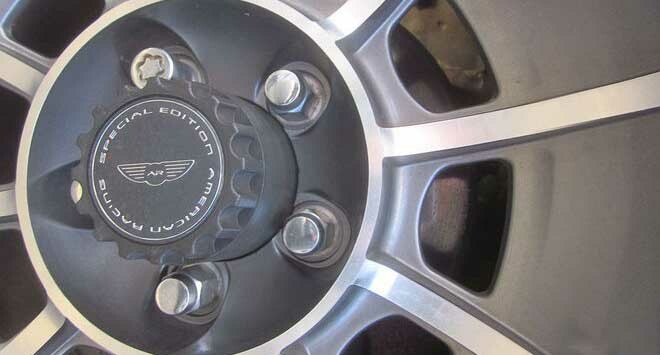 With high prices (about $ 999), many popular users will be difficult to reach. However, if you are using an older smartphone, you can still experience Face ID by installing the IObit Applock app, which is compatible with Android devices. 4.0.3 or higher. After installing the application, set the pattern or PIN to unlock the application, then click the Bind button to add backup email in the event of a forgotten password. If you want to lock the screen, just click the lock icon at Screen Lock and restart the app. You will now have the option of unlocking the face and notification keys (depending on the application), just click Start and follow the instructions. 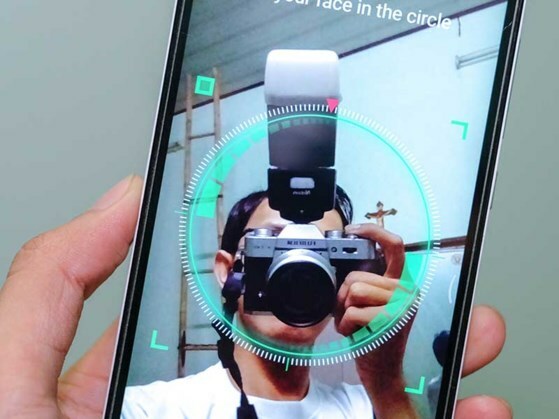 Face detection can be installed on older devices. 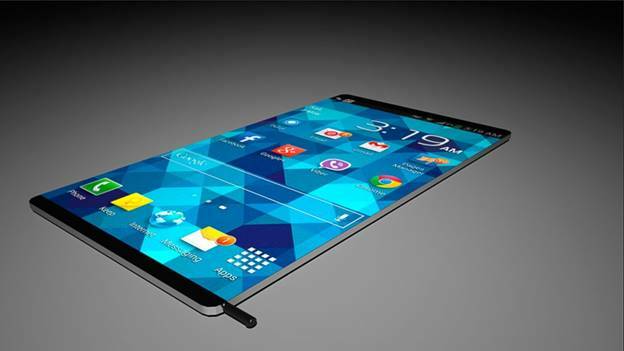 Capturing images with the camera before is also one of the new features on the dual camera smartphone. If you are not financially sound, you can still experience this feature by installing the Fabby software. When the installation is complete, open the application and click the Fade option, select the corresponding font removal mode and press capture. The application automatically analyzes the subject and background so that you can get the best photo. Note, for Android devices, users need to take a photo before then click the Fuzzy option. Additionally, you can also experience the extra fonts with Tadaa software, compatible with devices running iOS 6 and above. To use, you can capture new or selected images available in the library, then click on Blur> CreateMask. Here are two things to look out for: Mask and Erase. To highlight the subject, use the Mask Brush and paint on the object (this area will be green), otherwise use the Erase Brush to remove the excess. Note, for higher accuracy, you should enlarge the image and disable the Edges option. When finished, the user simply touches the blue checkmark icon in the right corner. Then select All and change the opacity, bokeh effect until you feel comfortable. For Android devices, you can install the AfterFocus app and do the same.. If you use a specific platform for your application, the traditional “Build Apps Natively” approach will be the perfect choice. However, if you look at all three major platforms for your application development, you must build individual applications for iOS, Android, or Windows separately. So you need to have different sets of source code and hire a large group of developers for each platform. This increases costs and takes quite some time. Ability to sync feature on platforms also face major obstacles. Xamarin allows developers to build native applications for iOS, Android, Windows and Mac, in a programming language, namely C #. Complete Binding for the underlying SDKs – Xamarin contains bindings for nearly the entire underlying platform SDKs in both iOS and Android. Additionally, these bindings are strongly-typed, which means that they’re easy to navigate and use, and provide robust compile-time type checking and during development. This leads to fewer runtime errors and higher quality applications. Objective-C, Java, C, and C++ Interop – Xamarin provides facilities for directly invoking Objective-C, Java, C, and C++ libraries, giving you the power to use a wide array of 3rd party code that has already been created. This lets you take advantage of existing iOS and Android libraries written in Objective-C, Java or C/C++. Additionally, Xamarin offers binding projects that allow you to easily bind native Objective-C and Java libraries using a declarative syntax. Modern Language Constructs – Xamarin applications are written in C#, a modern language that includes significant improvements over Objective-C and Java such as Dynamic Language Features , Functional Constructs such as Lambdas , LINQ , Parallel Programming features, sophisticated Generics , and more. Amazing Base Class Library (BCL) – Xamarin applications use the .NET BCL, a massive collection of classes that have comprehensive and streamlined features such as powerful XML, Database, Serialization, IO, String, and Networking support, just to name a few. Additionally, existing C# code can be compiled for use in an applications, which provides access to thousands upon thousands of libraries that will let you do things that aren’t already covered in the BCL. 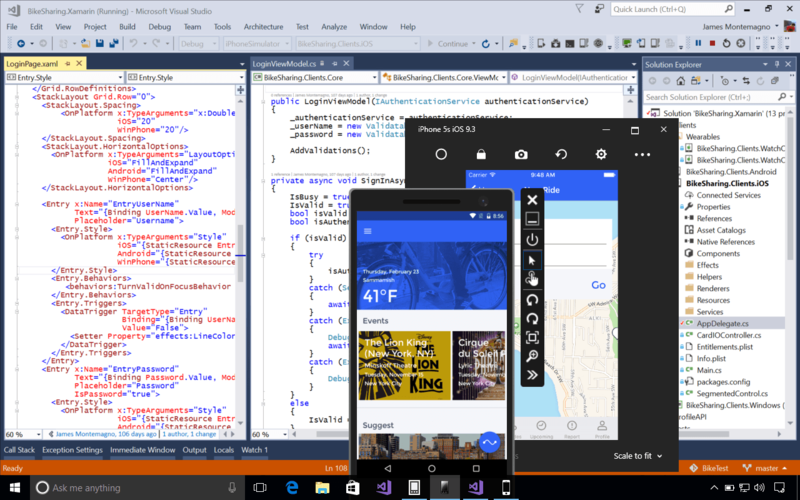 Modern Integrated Development Environment (IDE) – Xamarin uses Xamarin Studio on Mac OS X and Visual Studio on Windows. These are both modern IDE’s that include features such as code auto completion, a sophisticated Project and Solution management system, a comprehensive project template library, integrated source control, and many others. Mobile Cross Platform Support – Xamarin offers sophisticated cross-platform support for the three major mobile platforms of iOS, Android, and Windows Phone. Applications can be written to share up to 90% of their code, and our Xamarin.Mobile library offers a unified API to access common resources across all three platforms. This can significantly reduce both development costs and time to market for mobile developers that target the three most popular mobile platforms. Because of Xamarin’s powerful and comprehensive feature set, it fills a void for application developers that want to use a modern language and platform to develop cross-platform mobile applications. Wagner says he uses LinkedIn to keep tabs on technologists and to vet qualified personnel. He says it doesn’t have the high signal to noise ratio of other social media platforms. As most IT leaders can attest, it is critical to use a password manager at all levels of IT. “It’s still a bit clumsy on smartphone platforms, but it is the best when managing passwords and access to various platforms where you need solid security,” says Miller. Miller says he uses this app for multi-factor authentication to secure Web apps. “It works so well that I’m even rolling it out on development teams for next-generation business applications that use live data for testing the applications,” he says. Technology is growing, and Vietnam is also one of the leading countries in terms of growth in spending on technology products. About application programming, Vietnam is also one of the potential markets. Programmers generally wisely choose to segment the mobile application market based on the needs of their customers, but for Vietnamese programmers, they are even wiser not to refer to segmentation. world-class, they are more knowledgeable Vietnamese users than ever. The Vietnamese market is now a fertile land with young populations, which are more potential markets than ever. Need to go far, thinking about the lung, to serve Vietnamese users as you can safely check the bank account. 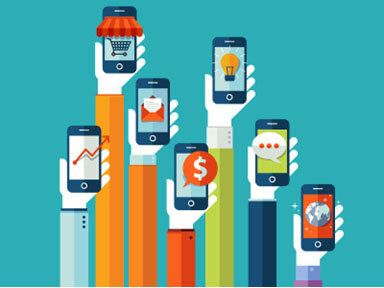 The mobile advertising market is opening up a new path for digital marketing. But this is also a challenge to be able to convey the message of delicate but still effective. Vietnamese people are more sensitive to advertising. “Sensuality” here includes both awareness and sensitivity. They understand that advertising is a revenue stream for programmers, but they will feel annoyed when ads appear too much. 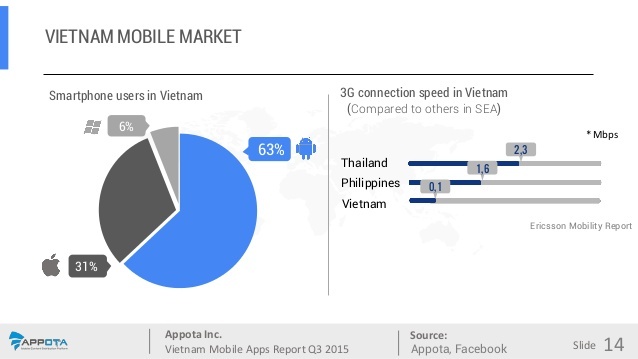 The growing number of smartphones in Vietnam has created a new “lucrative” market for application programming. After the success of Flappy Bird, many experts said that the market will be more and more exciting and will have many big pushes to push the scale of the industry to the world. At present, the demand for mobile application programming manpower is much higher than that of the information technology industry. Not only Vietnamese software companies, but foreign companies in Vietnam are also recruiting programmers for domestic and foreign projects. There are a lot of mobile application companies in Vietnam that are growing up, with some soft skills, a programmer can set up businesses for their projects. This article explains some of best practices on test driven development, automated testing, and user testing with automated distribution, and there are links to several additional resources, including the new App Distribution for Pivotal Cloud Foundry service and related webinar, Insider’s Guide to Mobile Apps. What Makes Mobile Testing So Hard? Taking a multi-pronged approach to testing helps to make the overall process more manageable, thorough, and successful. Let’s take a look at three key steps to addressing the challenge of delivering high quality in a mobile world, as well as a new Pivotal Cloud Foundry microservice to help streamline the process of distributing test builds. With the myriad devices on the market today, you’ll want to automate as much as possible. This involves executing test scripts on devices, and it is particularly useful for regression testing and smoke tests (simple tests to ensure the app functions at a very basic level) because these are generally repetitive and time consuming to do manually. Automated testing saves significant time and money by allowing you to run tests on many devices simultaneously and quickly. Since machines never miss a step, leveraging automation reduces risk of human error throughout the testing process. You can read more about requirements, goals, and solutions for automation testing on mobile in this blog from Pivotal Labs. The new App Distribution for Pivotal Cloud Foundry simplifies this process by providing an easy, intuitive way for users to do over-the-air (OTA) installs of pre-release apps with the tap of a button. It handles device registration, user and group management, distribution of apps, notification of new available app versions and more. It supports all of the major mobile platforms and runs on Pivotal Cloud Foundry, so enterprises can deploy it in a private cloud, on premises for full control and privacy. This makes life a lot easier for users testing the apps, as well as the mobile development and QA teams releasing apps. Following these three steps diligently will lead to higher quality apps, better user engagement, and stronger app ratings. Moreover, it will help your organization achieve overall success in your mobile app efforts in a world where mobile is increasingly the primary way customers, employees, and business partners work and interact. With highly liberal licensing and a promising suite of features like package management, Swift’s new open source version holds a lot of promise. Months after it originally promised to open-source Swift, largely seen as a successor to Objective-C, Apple has delivered. The source code is now available on GitHub under a highly liberal license — Apache 2.0 — that should please most developers. At the new Swift.org, Apple provided details about the Swift compiler, tools for integrating Swift with IDEs, and discussions of goals for the next iteration of the language, such as guidelines for API design. One of the future goals is portability, as right now only OS X and Ubuntu Linux are supported for Swift development. Porting to Windows is likely to be far more complex than porting to other Linux or POSIX-like operating systems, and so far Apple has offered no concrete details about porting to Windows. Other early details are promising. Swift’s newly proposed package management system allows users to specify which version of a package to be checked out (major or minor) when building dependencies for a project. The core libraries will also be open-sourced as part of the project. When Apple first announced it would open up Swift, InfoWorld’s Simon Phipps raised questions about how the project might be licensed and governed. Apple’s use of the Apache license puts nearly all of the concerns to rest. 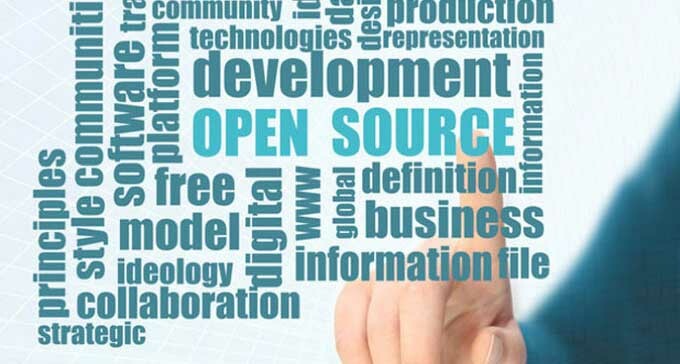 Contributors retain copyright to their code, so they don’t need to sign a CLA or otherwise cut through the bureaucratic red tape that can entangle open source projects spearheaded by large corporations. Phipps also questioned whether or not code written in Swift would be truly portable outside of iOS’s walled garden. After all, Apple started Swift to make it easier for developers from other platforms to create what might ultimately be iOS applications. It’ll take the active participation of motivated developers to make Swift more than an Apple- and iOS-only project. Still, Apple has laid a foundation that’s far more open-ended than its proprietary-software-driven history would have indicated. With debut at the Re:Invent conference in Las Vegas, Mobile Hub features a console integrating discovery, configuration, and access to AWS for bulding, testing, and monitoring mobile apps. It features AWS options, client SDKs, and client integration code, as well as capabilities for push notifications and analytics. Mobile Hub supports both Android and Apple iOS mobile platforms. A Mobile Hub Project is a collection of AWS functions and features. Developers can configure application sign-in, either via social log-ins such as Facebook, an identity system chosen by the developer, or as unauthenticated guest users. Mobile Hub offers cloud storage for user data, and an app content delivery feature sets up cloud storage for application assets such as resource files or audio/video files. Also, cloud functions can be built for functions such as validating in-app purchase receipts. [4/1/2016] Google’s planned mobile operating system, which has been referred to as Android N, will leverage OpenJDK APIs rather than Google’s own Java implementation alone. The move has been praised as good for Java overall and might help the company in its ongoing legal battle with Oracle. Oracle has griped that Android violates Java copyrights and patents. OpenJDK provides an accessible open source version of Java. Google’s Java implementation has featured Apache Harmony libraries. Android itself has leveraged Java development, but has relied on the Dalvik runtime and now the Art alternative. Future releases of Android will still be based on Google’s own implementation but will use OpenJDK, Google explained in a published report.